If you are interested in Focusrite’s RedNet system, RedNet product specialist, Adrian Hogg, will be hosting a networked audio distribution and recording demonstration at the London College of Music, which is part of the University of West London, on the evening of Thursday 5th June from 6:30pm until 9:30pm. 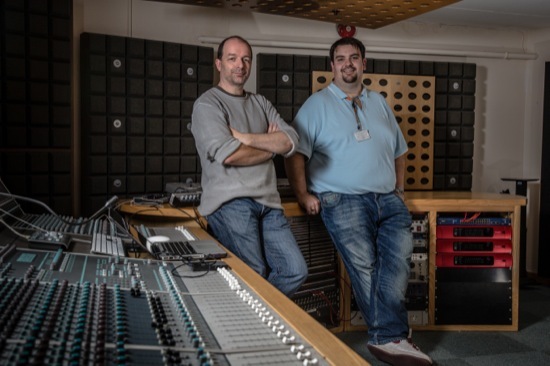 Adrian will be joined by guest speakers including London College of Music’s Richard Liggins (pictured left) and Composer / Producer Dom Beken whose credits include The Orb, Jonny Marr and the BAFTA nominated game score “Shooter”. Complimentary beverages will be served from 6:30pm. The programme starts at 7pm. You need to register for this event and there is more information and details on how to register on the Focusrite site here. If you would like to know more about putting audio down CAT5 cables round computer networks then do check out Julian’s series on Network Audio.